Connemara Conservancy was founded in 1981 with an initial gift of 72 acres by Frances (Montgomery) Williams on the border of Allen and Plano called the Connemara Meadow Preserve, or simply, The Meadow. Ahead of her time for the area, Frances became concerned that her family's land was in jeopardy of succumbing to the almost unstoppable "urban sprawl". By protecting the Meadow forever, Frances gave us the gift and opportunity to experience and understand Texas as it was, as it would be without us, and as we'd all want it to be. The Meadow will forever remain in its natural state as an open window to the environment where we live. In the year 2000, I was commissioned to create a fine art collection of black and white images of the special qualities of the Meadow. These are the images that resulted from that assignment. 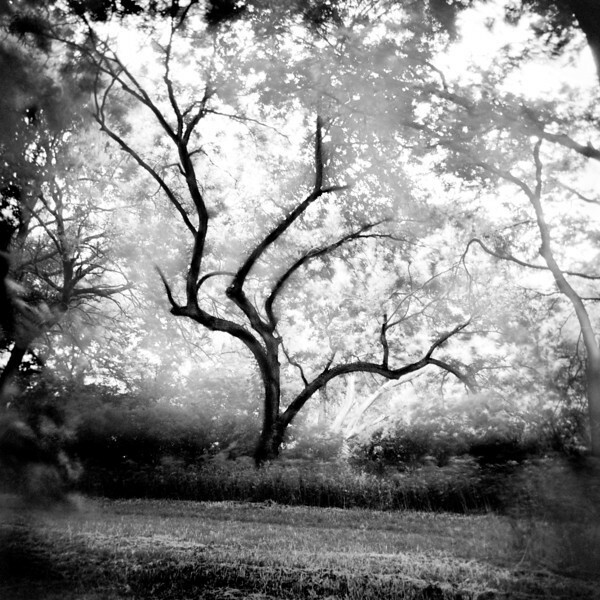 The panoramic images were created with a Noblex Panoramic camera and the square images were created with a Holga (plastic camera costing about $12 at that time). All were created on medium format B&W film. Hope you enjoy this collection.